So after nearly 2 years of on and off again R&D work, we’ve managed to figure out stone dice. The secret was to find materials that we could work with tools we already had. Enter soap stone! Soap stone is cool becuase we can work it with regular wood working tools, and when it turns to dust it magically become baby powder, keeping the minions’ hands soft and supple. Soap stone has many uses from counter tops and fire places to pipes and figurines. My favorite use for soap stone is whiskey stones. That’s right, pop these bad boys in the freezer and give a new meaning to the term “on the rocks”. This particular variety of soap stone is used in hand carving and pipe making so it’s a bit on the soft side. They will hold up to play, but the tips will turn white as you roll them. We’ve got half a dozen sets of these ready to go. 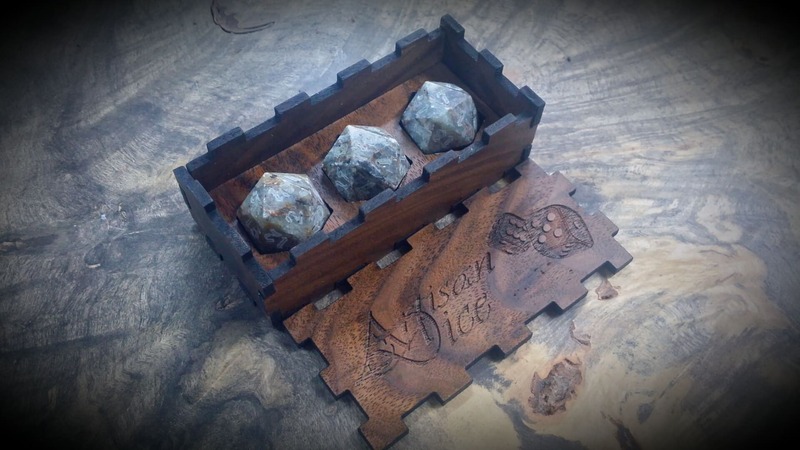 Each set includes 3d20’s is a swanky Figured Black Walnut display case. Why 3 you ask? 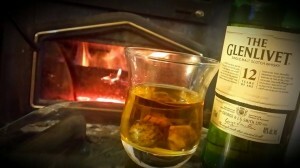 Because that is the perfect number for keeping my scotch on the rock nice and frosty. Oh no! when did these beauties go live? I *love* that you’ve engraved them. How much were they listed for? It was $76 I believe. I am trying to figure out the attraction here…are people using these as whiskey stones or dice? or both? 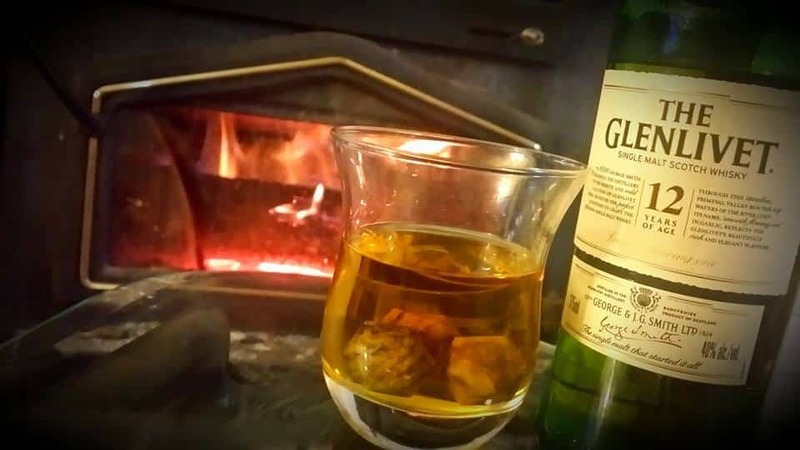 (ick)…whiskey stones are pretty cool, I dont drink enough liquor to own any though, if that is supposed to be their primary use Charlie should have come up with some vessel for them other than wood so you could put them in the freeze like that. If they are to use as dice, it seems unappealing that they will show signs of wear…I skipped these for those reasons. Let me know though Charlie when you gear up to working more seriously with stone. I have a piece of lapis from afghanistan that I would like you to make me some dice out of. There are plenty of sources for lapis I realize but I brought it back from there myself just to have dice made from it so would be pretty cool if we could make that happen. primarily these are scotch rocks, or whiskey stones. they do function as dice. but you are correct they will show signs of wear as the points of the d20 turn white when they are rolled on a hard surface. not ready to tackle lapis just yet. from my under standing that requires diffrent tools than what i have. i’ve got some harder stones we worked up over the weekend, and i’m soon to pick up a bunch of lab grade soap stone which has harder than the stuff we used this run so it should hold up better to play. Well, I noticed I’d missed them on the 18th and was quite sad to see it. I would love stone dice, and they’re probably heavier than most that you sell. So lovely. What was the price of the 3 D20s? I would love a set for use in bourbon! Please make these a regular run. I need these!!! Second run? I would love a set combine my game geek with whiskey geek. Are you guys planning on making more of these? I’d love to order some. Please let me know, I’ll be first on the list!